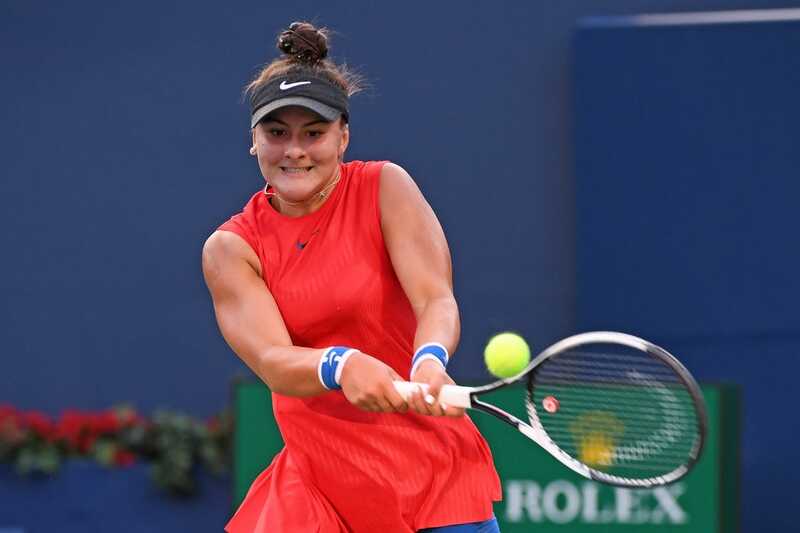 Canadian teen Bianca Andreescu continued her breakout season, demolishing 20th-seeded Spaniard Garbine Muguruza 6-0, 6-1 on Wednesday to advance to the semifinals of the BNP Paribas Open in Indian Wells, Calif. The blowout was over in 52 minutes, a shocking outcome considering Andreescu, 18, is ranked 60th in the world while Muguruza, 25, is a two-time Grand Slam champion. The result will vault Andreescu into the world's top 50 when the next rankings are released. "It's incredible what I've achieved the last couple months, and I think that's the best tennis, one of the best matches I've ever played," Andreescu said. "I was focused right from the start and I didn't have anything to lose so I just went for it." Andreescu reached her first tournament final at Auckland, New Zealand, to start the year. She also won a minor league event at Newport Beach, Calif., in January and got to the semifinals at Acapulco, Mexico, last month. Andreescu won an astounding 23 of 35 points on Muguruza's serve, and the Canadian saved the only two break points she faced. Next up for Andreescu is a matchup with sixth-seeded Elina Svitolina. The Ukrainian rallied to beat the Czech Republic's Marketa Vondrousova 4-6, 6-4, 6-4. The third set was on serve until Svitolina got a match-ending service break. "The key was today just fighting for every ball and just trying to put one extra ball at the net," Svitolina said. "It was not a perfect match for me, but I was fighting. ... I had to really stay in the match and try to put one extra ball (in play). In the end, this is what brought me and what gave me the chance." Svitolina is into the semifinals of a third consecutive tournament. Before that run, she reached the quarterfinals of the Australian Open. Last year, she won four tournaments, in Brisbane, Australia; Dubai, United Arab Emirates; Rome; and the WTA Finals in Singapore. The other two quarterfinal matches are scheduled for Thursday. Eighth-seeded Angelique Kerber of Germany will take on American Venus Williams, and fifth-seeded Karolina Pliskova of the Czech Republic will oppose 23rd-seeded Belinda Bencic of Switzerland. None of the remaining players has ever reached the singles final at Indian Wells.